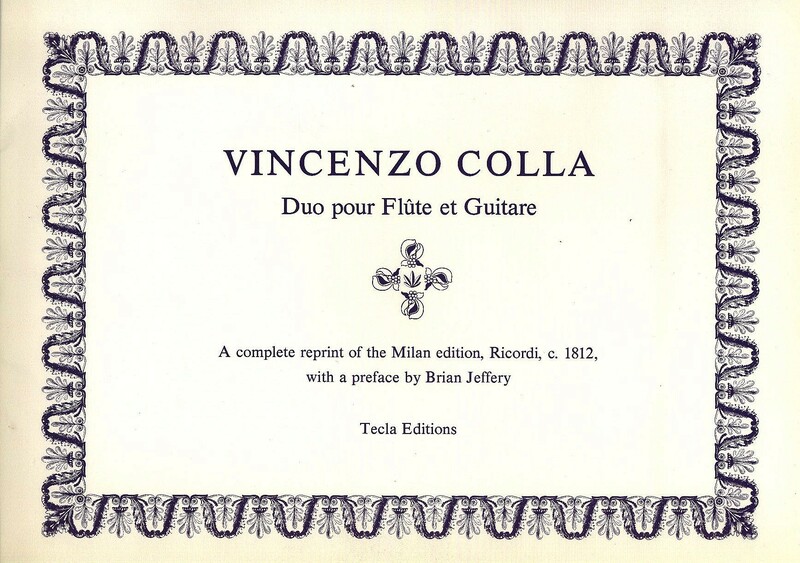 Vincenzo Colla’s Duo for flute and guitar is from early 19th century Italy, a simple, charming, and technically undemanding chamber work with guitar. This is an ideal piece for easy performance. There are three movements: Moderato, Romance (Cantabile), and Rondo (Allegretto). 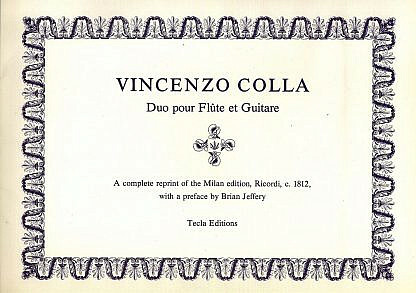 Reprint of the first edition of Milan, c. 1812. Parts only, no score. with a preface by Brian Jeffery. First published by Tecla in 1985.